Laid-Back of Victor, Idaho, sells an assortment of old-school-style products, including signs, accessories and vintage-look apparel. Although the themes vary, the company’s passion is clearly automotive-focused, judging by the variety of men’s, women’s and children’s T-Shirts. 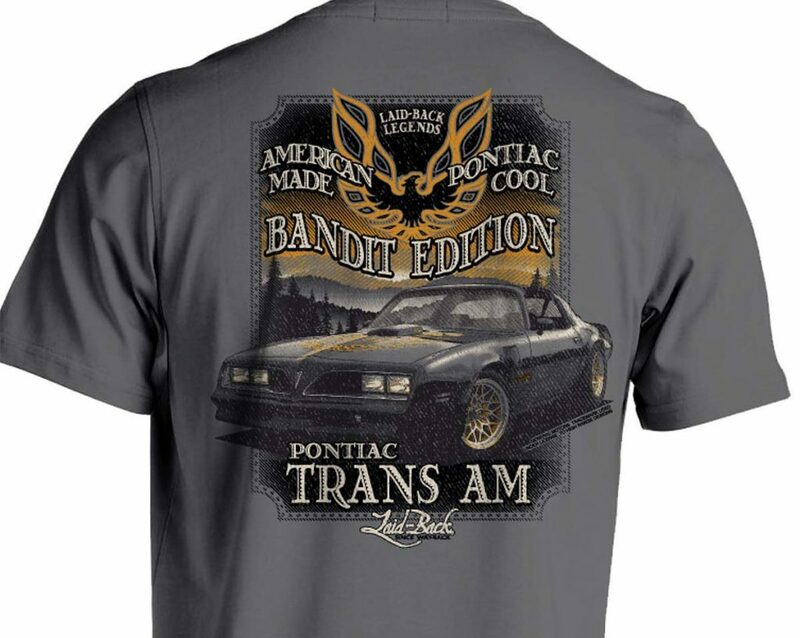 The company has recently released its 2018 collection that includes classic pickup trucks, Bonneville salt-flats racers and the Pontiac Trans Am Bandit Edition. You can choose from a variety of well-known classic-car designs from the 1950 to the 1980s, with each available in assorted colors and sizes. Prices range from $20-$25. Details at www.laidbackusa.com.